Underwood Hills is located in the City of Atlanta 30318 (Buckhead Area Of Atl. ), Fulton County. Homes built between 1905 to New. The average list price ranges from $85,000 to over 1 Million. 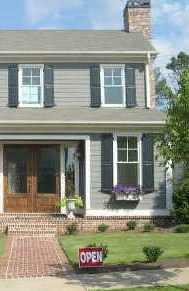 Homes are built in several styles from craftsman, traditional, colonial, bungaow, to European fashion. There does not appear to be an HOA fee at time of post. Streets in the community of Underwood Hills include Claremon Street, Claremon St. NW, Colebridge Rd., Davis Circle NW, E Davis Place, B Davis Pl., Defoor Ave. NW, Ford Strret, Harper Road, Mantissa St., Marvin St., Rhomboid St., Ridgeway Ave., NW, Seaboard Avenue, Springer St. NW, Volberg St. White St. NW, Woodland Hills Ave. NW, Woodland Hills Ave. Directions: From Collier Road and Howell Mill, head west on Collier, turn left on Woodland Hills Ave just past I-75 overpass. Directions from downtown Atlanta take I-75 North to Howell Mill Rd. exit. turn left on Howell Mill go approx. 0.5 miles & turn right on White St.